This week, we’re excited to feature AnyPerk — a San Francisco based startup that provides employee perks and benefits to other startups and small companies across America. We heard about AnyPerk in news about its recent partnership with the national ride-share company, Lyft, and we are really excited about its progress and the passion that it shows in changing office culture! 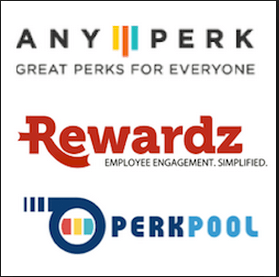 AnyPerk provides amazing perks such as markdowns on phone bills, cheap gym memberships, and discounts at restaurant to employees of small and medium sized companies. These perks are usually reserved for larger companies with lots of employees. This is made possible because AnyPerk unites employees of small and medium companies into one large target audience that appeals to the big brands providing the perks. Participating vendor partners benefit from increased visibility to large numbers of employees dispersed through the nation as they are now able to distribute perks to employees they might otherwise have missed in their marketing campaigns. AnyPerk makes employees more efficient by rewarding them with perks, and spreads the fun atmosphere that we have in San Francisco across the country. Not only do we think this company is awesome, but we really admire the changes they are making by making perks accessible to everyone! Wouldn’t you love to work for a company that gave you the AnyPerks? Let us know what you think of this great idea in the comments below, or on Facebook and Twitter!